If there’s something I like doing, it’s helping to support local businesses. I met Harry & Rose at The Baby Show in Birmingham, but was delighted to find out they’re from Kent. At The Baby Show, I bought some of their Baby Nappy Spray. I love it as it’s so gentle, smells pleasant and you don’t have to rub it into your baby’s bottom. This is much easier now that Autumn’s on the move! It seems to have helped. We also tried some of their Baby Soft Lotion, which I was also impressed with. When the opportunity arose to try Harry & Rose Hair – Body Wash, I was eager to give it a try. One of the things I like most about Harry & Rose is the fact that they only use high quality ingredients. There are no nasties that I worry about, like Parabens or Phthalates. The ingredients are all pure, natural and organic, and there are no fragrance allergens or dyes. It is also free of mineral oils and SLS (Sodium Laurel Sulphate)/SLES (Sodium Laureth Sulphate). Instead of questionable ingredients that you might see on the back of some brands’ bottles, everything sounds friendly and safe. Now, those are all things I don’t mind the sound of putting on my baby’s head! It smells lovely and gentle too. 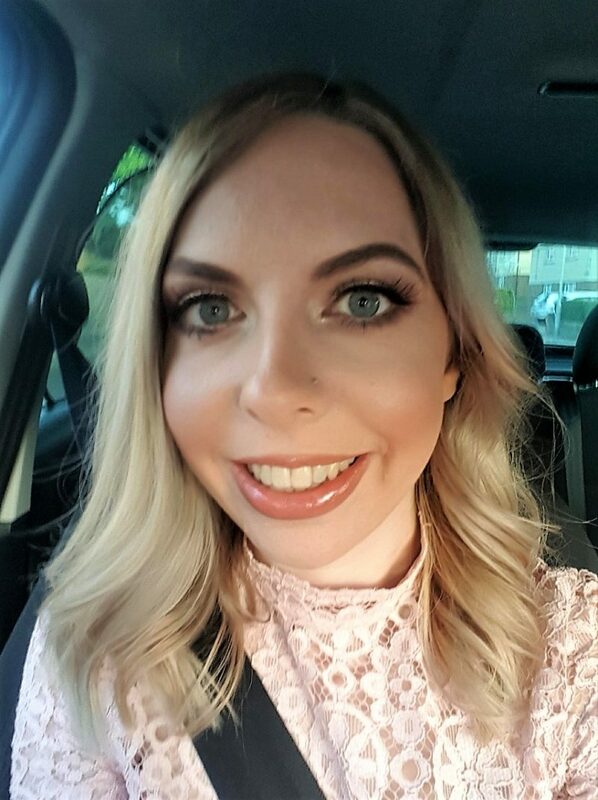 Because it is designed for both body and hair, I didn’t have to mess around about having to think what products to use where and when on Autumn. When you have a wriggly baby, you want to have your hands somewhat free and not have to keep changing products! She sometimes tries to climb out of the bathtub now, so the quicker I can get her washed, the better. Fortunately, this rinses off easily. Usually, when I wash Autumn’s hair, I give her the signal we do for going underwater at swimming. This way, she knows that water is about to go all over her head and she’ll be less shocked. With the shampoo we have been using, she looked a little unhappy afterwards and would try to climb out. As soon as I tried to do the next rinse, she’d just give me a look and try to get out again. Her eyes looked a little pink too. Obviously, she’s too young to really communicate with me, but I suspect that it may be stinging her little eyes when I rinse it off. With this product, she seemed a lot happier. She only tried to escape playfully during her bath, rather than trying to escape rinsing. I’m sure that the fact this shampoo only has natural products and no chemicals in it really makes the difference. The description on the website says it has a no-sting formula and I’m sure that it is better than a certain “no tears” shampoo that we have been using. It also made her skin feel lovely and soft afterwards! I’d love to continue using this product on Autumn on a permanent basis in the future. At £6.90, it’s more expensive than what I’ve been using, but doesn’t break the bank either. 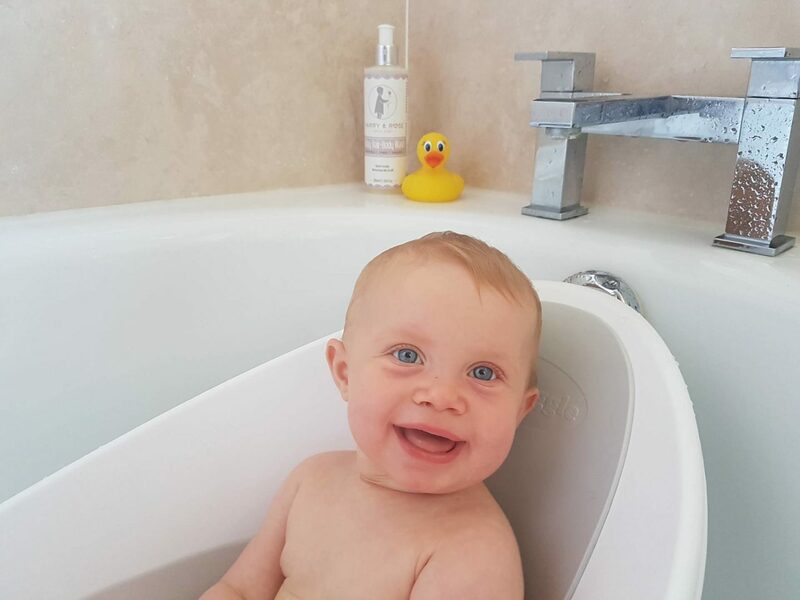 According to Harry & Rose’s website, it contains ‘soothing ingredients that help [wash] away itchy eczema, cradle cap and dryness‘. Since her hair got thicker, Autumn’s cradle cap hasn’t been anywhere near as bad. However, I can still see that there is a little bit there. I’ll be interested to see if it helps the last bit to clear up. 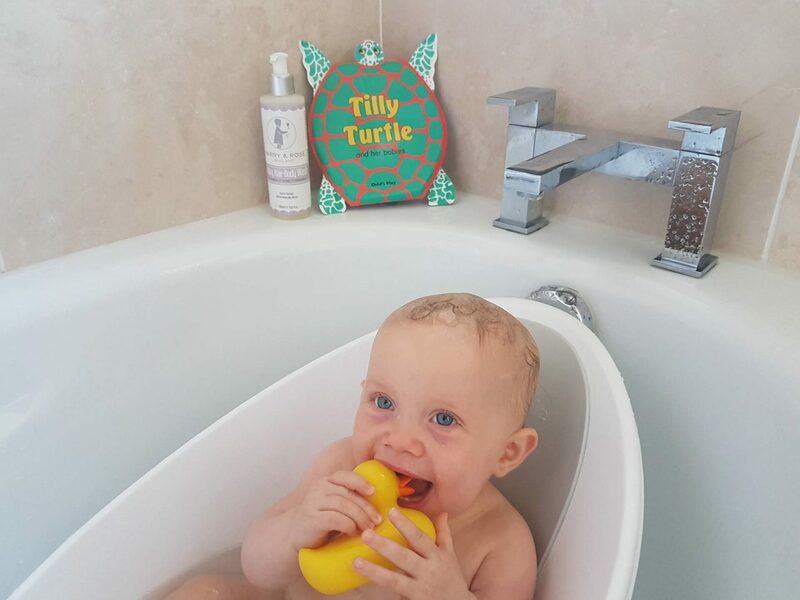 Autumn seems happy with this product, and when there’s a happy baby you’ll find a happy mummy giggling, splashing and playing with ducks with her. Disclosure: This is a collaborative post with The Conscious Parent Company. I received a bottle of Harry & Rose Hair and Body wash to try in exchange for a review. As always, all views and opinions are honest and my own. Aldi Baby & Toddler Event – put this in your diary!